“Diva” is a word thrown around a lot in the sports realm. It wasn’t long ago when professional athletes conducted themselves in, well, a professional manner. But then came the Deion Sanders, Terrell Owens, Chad Ochocinco and Randy Moss’ of the world. Now we have players behaving like children and it’s even more magnified now by the advent of social media. And the Oakland Raiders new diva, Antonio Brown, just embarrassed himself in spectacular fashion. Remember in the 1980’s and 1990’s in the NBA when there was no “hand checking” rule and the game was physical. This was a game for men. Then they decided to alter the future of the game by adding that silly rule and now it’s evolved into a finesse outside-in game where players just launch threes all game. It’s become soft. That sort of translates to the NFL too. It seems like every year they’re trying to slowly make it less violent and eventually it’ll just be like flag football. The consumer doesn’t want to watch that. We like violence. Football is an analogy to war and that’s why there’s this carnal desire to watch it. That evolution has consequences and is directly linked to the type of player its bred. Some of these players are no longer tough like the players of old. They’re narcissistic and social media-obsessed. 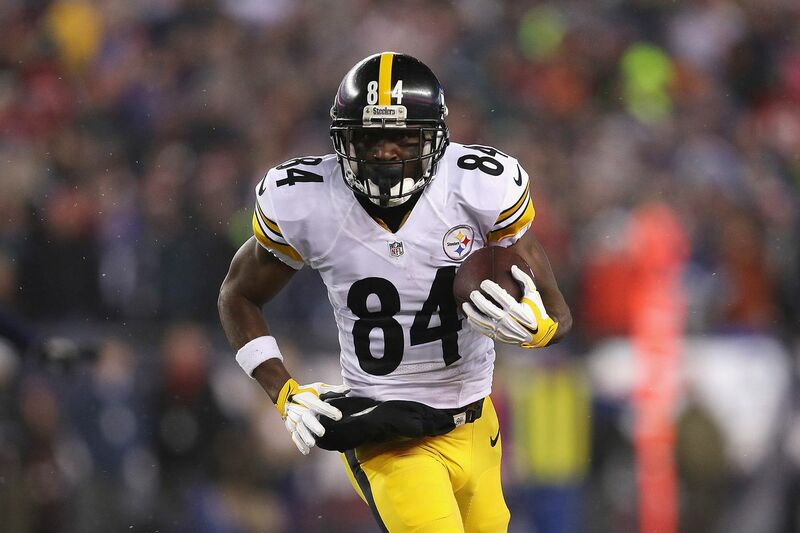 This is what happened with the Oakland Raiders newly acquired star receiver Antonio Brown when he decided to – completely out of the blue – attack his former teammate JuJu Smith-Schuster. Brown began his Sunday morning by claiming that you shouldn’t post “emotions” on the Internet. And, of course, in a weird ironic twist of fate that’s exactly what he did. Apparently, Steelers fans have been letting him have it lately. They’ve been using him like a punching bag. And this is how Brown responded. This is when things take a really bizarre turn that makes you question Brown’s level of intelligence and/or sanity. Brown took to Instagram and showed a private message between Smith-Schuster and his former teammate while he was playing for University of Southern California. Did Brown really think this was going to embarrass Smith-Schuster because all this looks like is a profound respect towards an idol and looking to that person for advice on how to be better. What’s more noble, respectful and disciplined than that? This makes Brown look like a terrible person and his intention was that he thought it would be the opposite? This recent exchange makes it seem like all the problems that the Pittsburgh Steelers had inside the locker room – where fingers were pointed at Ben Roethlisberger – makes it now seem like Brown was the real cause of the problem.